I was recently contacted by a Lenscraft member asking if I could explain Tone Mapping. Most importantly, they didn’t want an explanation of Tone Mapping in relation to HDR but in a more general sense. This is important as Tone Mapping is the basis for most image adjustment, although many people don’t realise it. Before we take a closer look at Tone Mapping there are some key concepts you should understand. Consider for moment an image which is comprised of pixels. If we were to look at any one of these pixels we would find it has a colour (I’m including in my definition of colours black, white and shades of grey as well as other true colours). The way these colours are represented is with an RGB value such as 255, 0, 0. What these values tell us is the amount of red, green and blue that are “mixed together” to create the resulting colour. In the above example, the colour has a red value of 255, a green value of 0 and a blue value of 0. This means the colour is pure red with no green or blue mixed in. These R, G, B colours are also known as the colour channels in the image and can be seen in the Channels Pallet in Photoshop. If we were to now look at one of these channels, let’s say the red channel, we find the channel can have a possible value of between 0 and 255. A value of 0 is the lowest tonal value where there is an absence of colour. At the other end of the scale is 255 where the colour channel is at its strongest. As you change the value in the channel you change the intensity of the colour. Earlier I said that black, white and grey are also colours within this model. Where all the channels have a value of 0 we produce black as there is a complete absence of colour from all channels. If all the channels are at a maximum value of 255 then the colours combine to produce white. The other possibility is that all the channels have a value between 0 and 255 but the value is the same in each channel, for example 128, 128, 128. When this happens, grey is produced. The lower the value the darker the grey. The RGB colour model is just one representation of colours but it can help us understand Tone Mapping. With that out of the way, lets continue our example from above where we have a pixel in an image. This pixel has a value of 255, 0, 0 (red) and if we were to change the value of just the red channel to be 128 we have remapped the tone of the pixel. If we now repeat this exercise so that all pixels that had the RGB value of 255, 0, 0 are remapped, we will change the colour across the image. 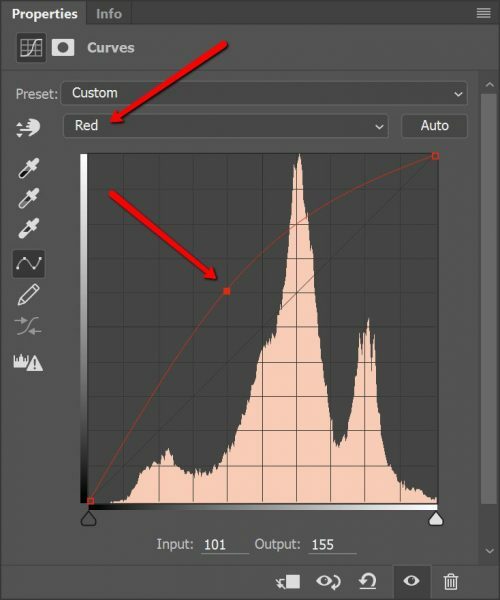 The Curves adjustment that you find in Photoshop is one example of a tool we can use to perform this remapping exercise. 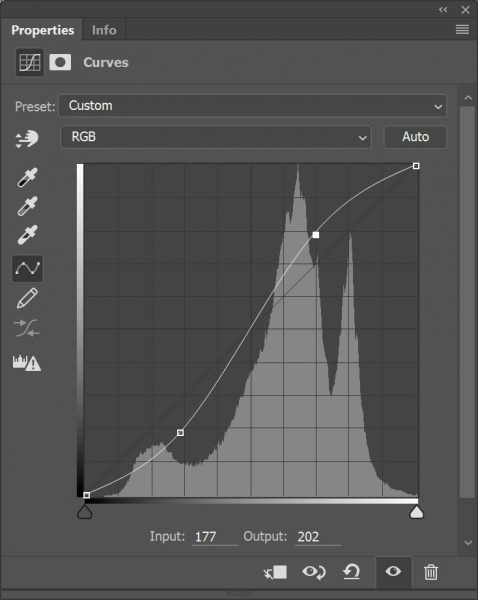 In the following diagram you can see a Curves adjustment in Photoshop. Point 1 in the illustration is the darkest tone with a value of 0 and point 2 is the maximum tone with a value of 255. 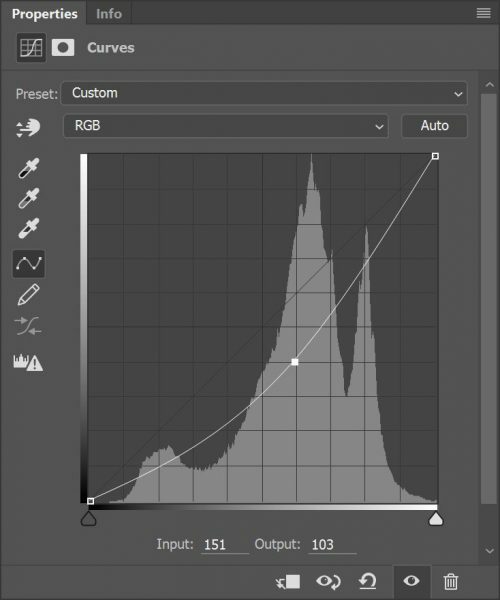 The horizontal access along the bottom represents the original tonal value in an image and the vertical axis is the new tonal value that results from the adjustment. When we add appoint on the curve we are selecting the tonal value (from the horizontal axis) to be mapped. 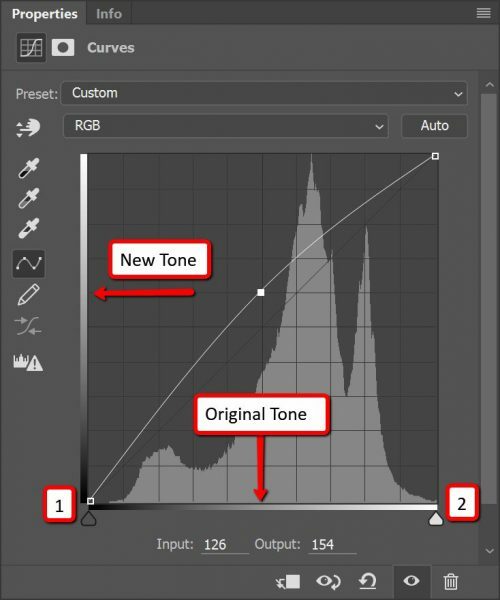 When we then move that point up or down, we are selecting the new tonal value from the vertical axis. The curves tool allows us to work on either a single colour channel or the combined RGB channel. When we work on a single colour channel, we will affect the colour of the pixels by increasing or decreasing the amount of that colour across the image. Adjustment applied to the Red Channel to increase the amount of red in the image as shown below. When we work on the RGB channel the relationship between the colour channels remains the same. As the relationship remains the same, the colours don’t change but the intensity does, making the image lighter or darker. Where we make the darker tones on the curve darker and the lighter ones lighter, we increase the contrast in the image. This produces the distinctive S-curve that many people are familiar with. My definition of Tone Mapping is therefore changing the tonal values of pixels in an image so that they are remapped consistently to new values. This in turn changes the colours and/or brightness of the pixels and therefore the image. You may now be wondering what Tone Mapping in HDR is all about. Let me try to explain in a simple (but not entirely correct) way. 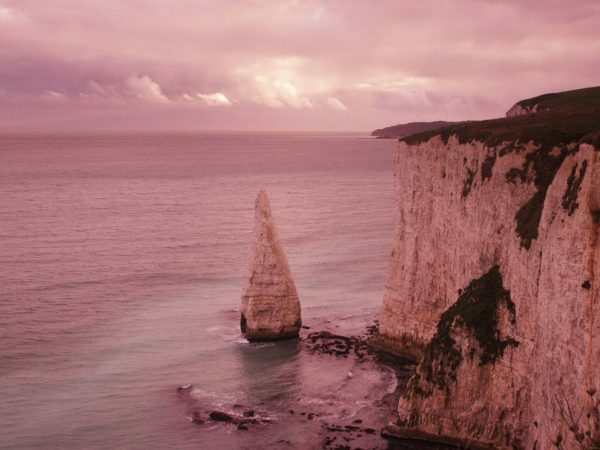 When we create an HDR image we take a range of brightness that’s beyond what a standard 16-bit digital camera can capture and compress it into a single file. These files are 32-bit files which allows them to represent a greater dynamic range than is possible with the more usual 16-bit files. The drawback to the 32-bit files is that they can’t be displayed using conventional display equipment. Producing an image file where the image can’t be seen is of little value so a process is required where we turn this into an image file that can be displayed. This is where tone mapping comes in as it will take the extended dynamic range of the 32-bit file and compress it into a range that allows it to be displayed. 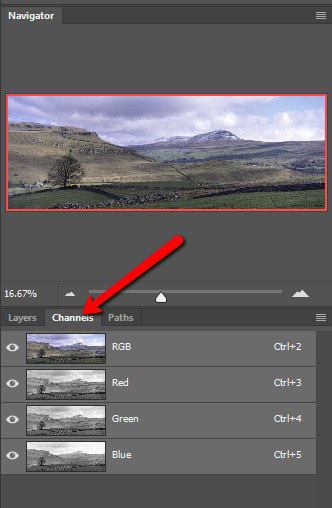 This tone mapped file can then be saved as a conventional image such as a TIFF or JPEG. I hope you have seen through this article that tone mapping is a relatively simple process that can be achieved through a number of tools. It involves nothing more than taking the tones of an image and remapping these (consistently) to a new tonal value, which changes the colour and/or contrast of the image.